If you havn't started shopping for Christmas gifts yet and tools are on your list, you might want to check out some of these closeout sales at HomeDepot.com. 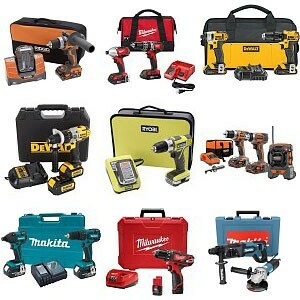 The savings are upwards of 30% on tools that are still part of the current generation. The sale seems to be limited to a particular store, but you can chage your store settings and order most of the tools online and get Free Shipping. Carrollton,La #387 (zip 70119) to see the prices (no coupons or codes are needed). Update: You might first have to click this link to select the correct store.